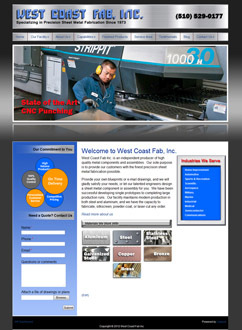 RICHMOND, CA: Real Web Marketing Inc. (http://www.realwebmarketing.net), a web design and website marketing company in Los Angeles, has completed designing a new web site for West Coast Fab Inc., a precision sheet metal fabrication company located in Richmond, CA, in the Bay area (http://www.westcoastfabinc.com). The site features an extensive photo gallery of samples of the company’s products. West Coast Fab Inc. was founded in 1973. As a precision sheet metal manufacturing company, the company fabricates everything from enclosures to brackets, from chassis to panels, and faceplates to fixtures. Their sole purpose is to provide our customers with the finest precision sheet metal fabrication possible. The company provides services to a variety of industries, including computer, lighting, entertainment, architectural, home improvement, automotive, sports and recreation, scientific, aerospace, military, marine, industrial, medical, semiconductor, communications, and construction. 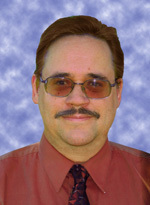 John Eberhard has been involved in marketing for 23 years. Real Web Marketing Inc. was founded in 1999 in the Los Angeles area and incorporated in 2011, and has clients all over the U.S. Services offered include web design, pay-per-click advertising campaign management, search engine optimization (SEO), link building, social media marketing, local marketing, copywriting, article syndication, online PR, and video production.